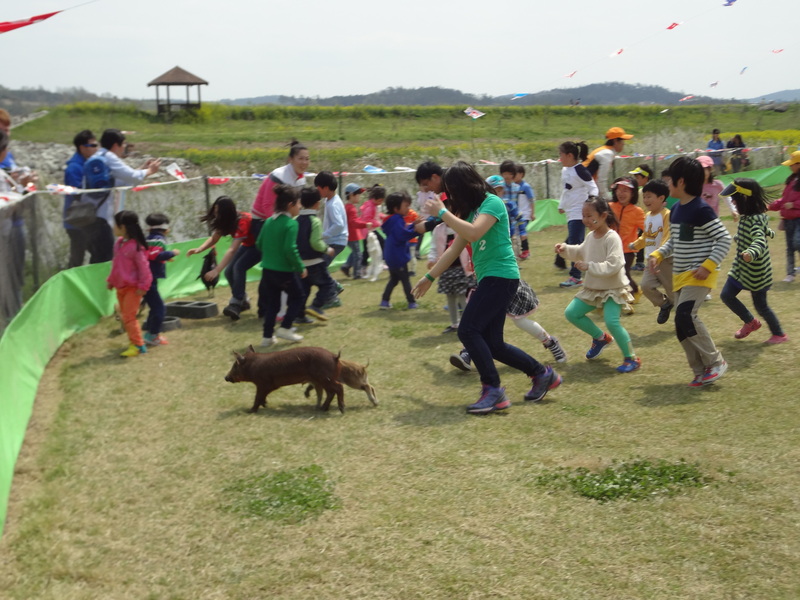 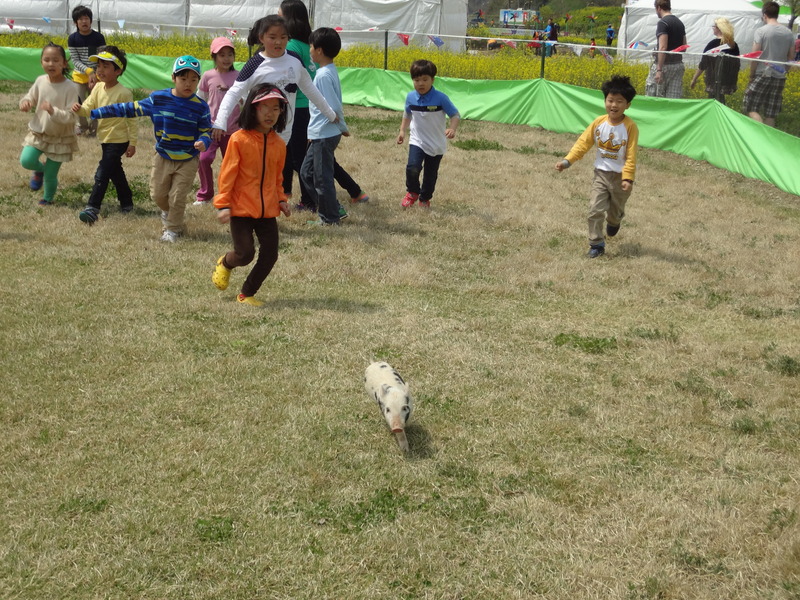 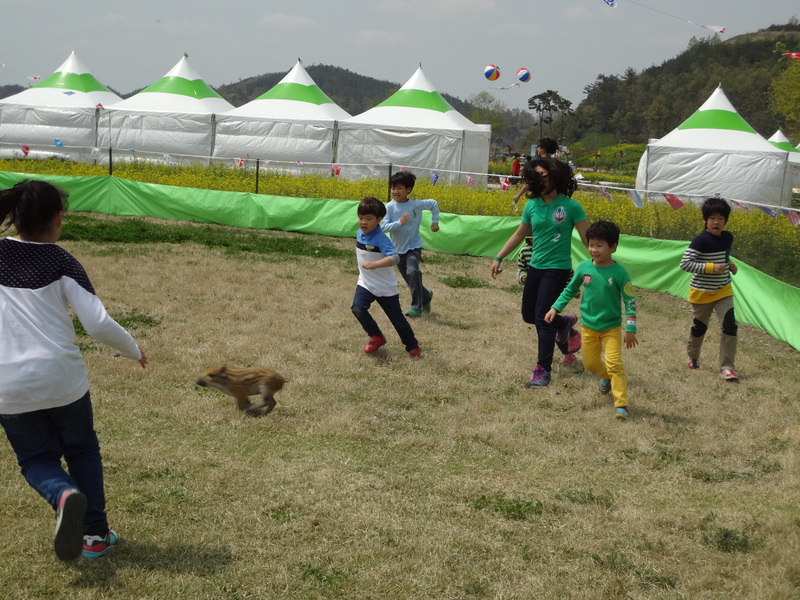 … is what they call this terrifying practice of getting screaming children (and occasional adults) to run after adorable farm animals, who do not look as though they’re having fun. 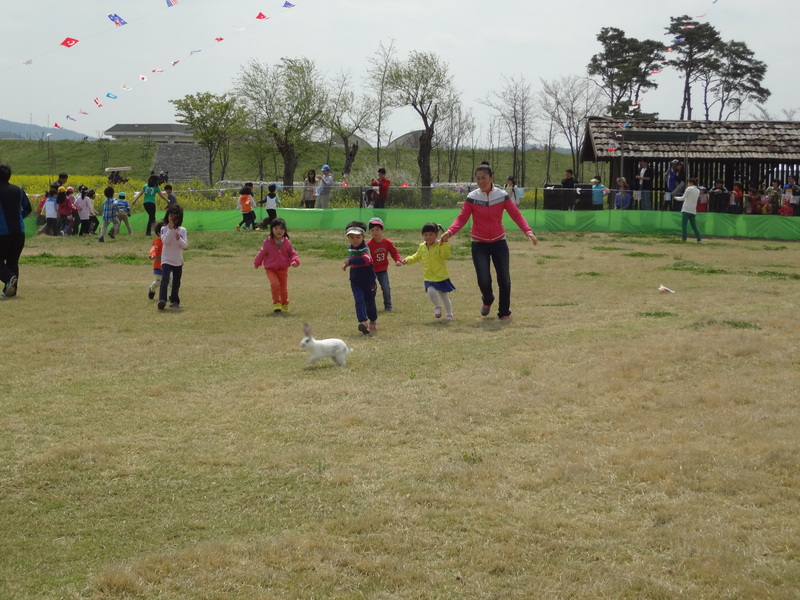 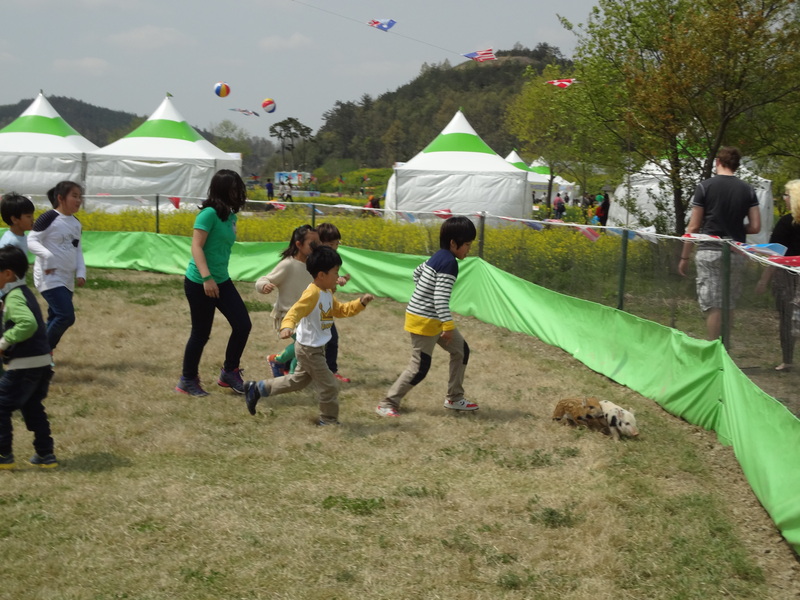 The event, which I saw in Hampyeong’s butterfly festival, also had an enthusiastic emcee. 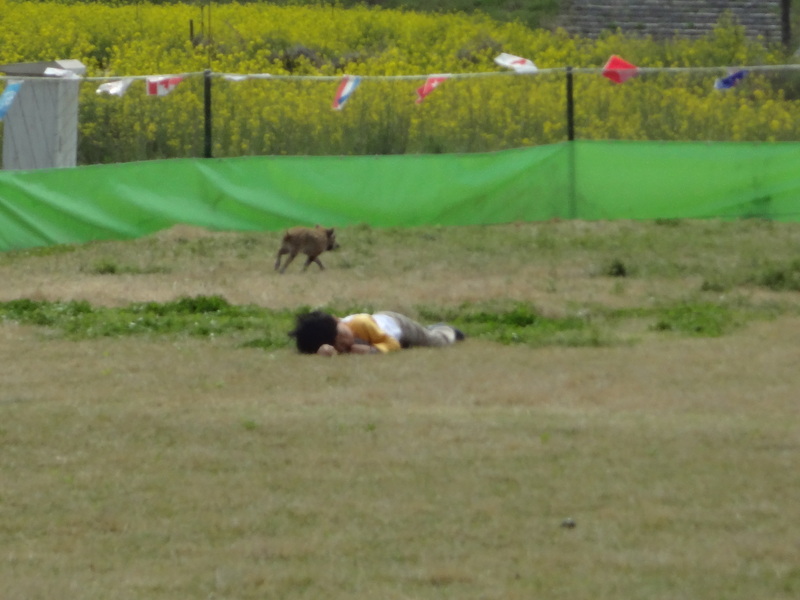 Perhaps it’s me being a waegukin (foreigner), but I was quite horrified.